Balance transfer fees are good. 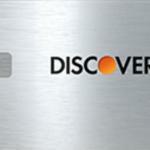 14 months 0% introductory APR on Discover It Chrome Card. There are much better rewards/cash back opportunities at some other cards for gas and restaurant. Cash Advance interest rates are high. Current cash advance fees and rates are high as well on Discover It Chrome Card. Very limited 2% cash back opportunities for limited time. 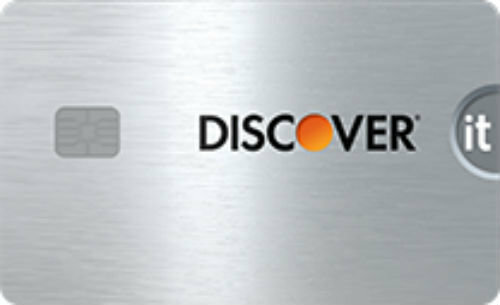 Discover It Chrome Card is a credit card which provides cash back to consumers. The card is generally focused on gas and restaurant purchases. There is not any sign up bonus of the card but you can double your cash back earnings with your card at the end of the year. You can see our detailed review for Discover It Chrome Card below. There is 0% introductory APR period for purchases and balance transfers. It is for 14 months and it is a good opportunity for consumers. Regular APR for purchase and balance are not bad at all. However Cash Advance Rate and Fee are high. The credit card company Discover it didn’t make any statement about foreign transaction fees. If you purchase too much abroad, we recommend you to ask it to company. There is no annual fee of the card and this is very good. Balance transfer fee is already at very good rates for now. You can find all APR rates at the rates & fees table below… Discover It Chrome Card is providing good amount of cash back for gas and restaurant. However this feature of the card is still questionable because there is a $1000 limit in each quarters of the year. It means you can get maximum $20 cash backs from gas and restaurant in 3 months from this promotion. This is quite low. When you reach the limit, your cash back rate is going to be 1%. The card also provides 1% unlimited cash back to consumers for all purchases. Limited cash back for 2% is a little bit annoying. Cash Advance Fee and APR values are high. If you are looking for a card in gas or restaurant categories, you can find many good alternatives. However if you are student and if you want to get student version of this card, it is very beneficial for you. You can see our review for the student version. You can see rates and fees table of Discover It Chrome below. There are also editor scores and user reviews. 14.24% – 25.24% 2% cash back on gas and restaurant purchases. Limited with $1000 in combined purchases in 3 months. Match cash backs at the end of the year. None Unknown $10 or 5% 27.24% 3% 0% APR for first 14 months. You can check user reviews of Discover It Chrome below. User reviews are important fact at card rankings on Credit Card Center.